This sample notice details the information normally contained in a fire instruction notice for the members of staff in commercial or industrial premises. However, there may be occasions when the information in the notice will have to be "tailored" to suit the circumstances found in different buildings, or with different occupancies. Your local Protection team can offer advice on the format and content of the notice. NOTE: Colorimetric properties are detailed in BS 5378: Part 2:1980 Safety Signs and Colours Part 2 Specification of Colorimetric and Photometric Properties of Materials. Where people with hearing difficulties visit the premises it will be necessary to make provision for alerting them in event of fire. Should persons who cannot read English regularly resort to the premises, advice can be sought from the Fire Authority regarding providing the Fire Information Notice in other languages. This sample notice details the information normally contained in a fire instruction notice for residents in a hotel or boarding house. However, there may be occasions when the information in the notice will have to be "tailored" to suit the circumstances found in different premises. Where people with hearing difficulties resort to the premises it will be necessary to make provision for alerting them in event of fire. 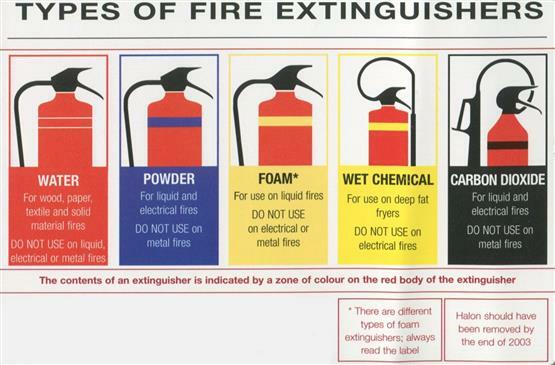 This sample notice details the information normally contained in fire instruction notices in a residential school or children's home. However, there may be occasions when the information in the notice will have to be "tailored" to suit the circumstances found in different buildings and occupancies. NOTE: Colorimetric properties of the instruction notices are detailed in BS 5378: Part 2:1980 Safety Signs and Colours Part 2 Specification of Colorimetric and Photometric Properties of Materials. Should persons who cannot read English regularly resort to the premises, advice can be sought from the Fire Authority regarding providing the Fire Information Notice in other languages. To translation into other languages, please email the web master. The following notes have been produced for the guidance of Head Teachers in the setting up of a simple and efficient fire routine procedure easily adaptable to suit most school premises. Members of the staff should appreciate that the first consideration must be the evacuation of the pupils to a place of safety. ASSEMBLY - ROLL CALL - TACKLE THE FIRE. To prevent panic and ensure the safe, orderly and efficient evacuation of all occupants of the school using all the exit facilities available and to get the mind attuned to reacting rationally when confronted with a fire or other emergency either at school or elsewhere. ANYONE (CHILD OR STAFF) discovering fire should immediately sound the nearest fire alarm. In primary schools the children should be taught to inform the nearest teacher. The function of the alarm signal is to warn every person in the building that a state of emergency has arisen and that drill procedure should be put into operation at once. It should be given in such a way as to be completely distinguishable from any other school signal. If the fire warning system is not of a type which, when operated, is audible throughout the building, then arrangements should be made for the warning to be passed on by responsible staff from alarm point to alarm point, e.g. if hand bells are provided, the person discovering the fire will ring the nearest bell and ANY RESPONSIBLE MEMBER OF THE STAFF hearing this will ring the bell in their section of the building. Where two or more departments occupy the same building, there should be complete co-operation between them. The sounding of a fire alarm in any part of the building should be the signal for the complete evacuation of the building and not just part thereof. Any defects in the fire alarm system which come to light should be reported immediately to the District Education Officer. On hearing the alarm, pupils should stand to attention by their desks, and when instructed by the teacher in charge of the class of the exit route to be followed, should leave the classroom in single file. Classes should then proceed at a steady uniform pace to the place of assembly, the teacher following at the rear with the attendance register, closing the door of the classroom and all other doors on the escape route which will not be used again. The Head Teacher, on hearing the alarm should go at once to a pre-determined and conspicuous position in the place of assembly and remain there until he has received a report from all sections. Special arrangements should be made to deal with children with a physical disability and children of a very nervous disposition. It may be that the attendance registers, at the time of the alarm, are not held by the teachers, in which case it is essential that they should be taken to the Assembly Point as quickly as possible so that an accurate roll call can be taken. No talking or laughing should be permitted during the evacuation in order that any instructions given can be heard. On reaching a staircase the class should descend in single file using one side of the staircase only, the other side of the staircase being left for the use of other classes, except in the case of single unit staircases where single file working only will be possible. Overtaking by classes or individuals should not be permitted. Anyone not actually in class when the alarm sounds, e.g. in the toilets, staff rooms, passages, etc should go immediately direct to the assembly point and join their appropriate class or group. Any cooks, cleaners, administrative and other staff, on hearing the alarm should go immediately to the assembly point. With the exception of a search for missing persons, no-one must be allowed to re-enter a building to retrieve their clothing, books, etc., until permission is given by the Fire and Rescue Service or, in the case of drill, by the Head Teacher. A place of assembly should be pre-determined. At the place of assembly, each individual class and body of people should take up a pre-determined position and stand in a compact group. If possible the place of assembly should be under cover, preferably in another building. Immediately the classes have mustered at the place of assembly, a roll call or count should be taken, if possible from the registers. Each responsible person should report immediately to the Head Teacher "all present" or otherwise. If anyone is missing an immediate search by the staff should be made and no place to which pupils have access should be overlooked. The Officer in Charge of the Fire and Rescue Service should be met on arrival and immediately informed whether or not all persons have been safely evacuated. All outbreaks of fire, however small, or any suspected fire, should be reported immediately to the Fire and Rescue Service, by the quickest means available. It will be the duty of the senior member of the staff present to ensure that the Fire and Rescue Service is called. It is important that there should be no delay in transmitting the call. A Fire Instruction Notice should be located at each fire alarm point. Schools that do not have a manual electric fire alarm system should contact their local Protection team for advice on where to locate their Fire Information Notices. New Intake As soon as practicable after the commencement of a school term all new entrants, staff and pupils, should be conducted over all primary and secondary escape routes, shown the alarm points and be instructed in the fire routine procedure. As soon as is practicable after the beginning of the term, a test fire drill should be held. Normally test fire drills should be held at least once per term. They should not be allowed to become stereotyped, as the situation under actual fire conditions may vary widely. For instance a staircase may be unusable due to smoke or other cause. Before arranging a drill where a staircase or other means of escape is presumed to be blocked, it is essential that an alternative safe route is available which leads to open air and safety. If conditions exist on any school premises that alternative means of escape are not available from any particular portion of the premises, an "obstruction drill" should not be conducted. In the newer schools a single staircase is presumed adequate for some of the two-storey blocks, but if it is felt that the lack of an alternative means of escape from any part of the school premises constitutes a danger or that the existing routes are inadequate to handle the numbers involved, then the Chief Education Officer should be informed so that an investigation can be carried out. In the case of private day schools the Chief Fire Officer should be consulted. A record of all Fire Drills should be maintained. Attacking the Fire - Circumstances will dictate as to whether fire fighting operations should be attempted; the important thing to be remembered is that FIREFIGHTING MUST ALWAYS BE SECONDARY TO LIFE SAFETY and that whilst small fires, such as a quantity of spilled inflammable liquid in a laboratory can be dealt with summarily, for a sizable fire safe evacuation should be the primary concern. This sample notice details the information normally contained in a fire instruction notice for the members of staff in Places of Public Entertainment. However, there may be occasions when the information in the notice will have to be "tailored" to suit the circumstances found in different buildings and occupancies. Should persons who cannot read English regularly resort to the premises, advice can be sought from the Fire Authority regarding providing the Fire Information Notice in other languages. To translate into other languages, please email the web master. This sample notice details the information normally contained in a fire instruction notice for premises with no Fire Alarm System. However, there may be occasions when the information in the notice will have to be "tailored" to suit the circumstances found in different buildings and occupancies.